Calo Programs, innovators in healing the effects of early life trauma in young people, is partnering with three of the nation's leading authorities on attachment, trauma and adoption: the American Adoption Congress (AAC), the Attachment & Trauma Network (ATN) and the Association for Training on Trauma and Attachment in Children (ATTACh). Together they are launching a first-of-its-kind mobile campaign to increase awareness, compassion and understanding of the lifelong impact of Adverse Childhood Experiences (ACEs), and to share a hope for healing. The purpose of this five-city bus tour is to raise awareness of how ACEs impact the development of 1 in 4 children in the U.S., and how these often-overlooked experiences can adversely impact development, in a physical, mental and emotional way. The events in each of the five cities are free and open to the public and include presentations, workshops and a resource fair. Other collaborating organizations include: The Trauma Center at Justice Resource Institute, Voices for Adoption, and Adoptions Together. For more information or to register for this free event go to Campaign to Heal Childhood Trauma. "November is National Adoption Month, an important time to recognize that adoptive children and those in foster and residential care are at significant risk for Developmental Trauma Disorder (DTD)," noted Julie Beem, Executive Director of the Attachment & Trauma Network (ATN), adoptive parent and one of the tour sponsors. 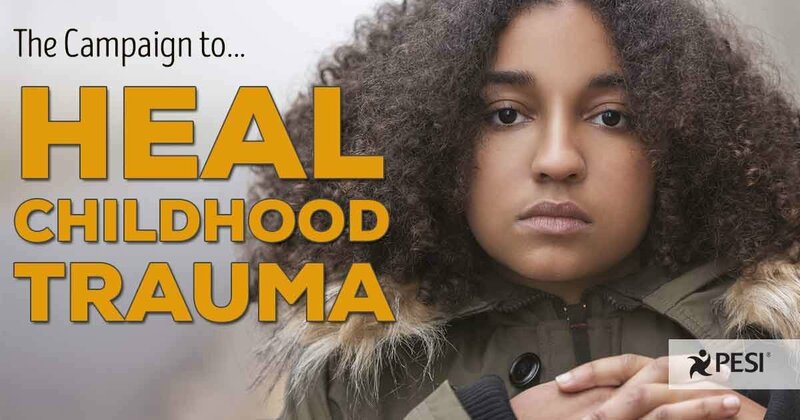 Developmental Trauma Disorder (DTD) is a proposed diagnosis focusing on prolonged interpersonal trauma in adolescents and children which can lead to development delays. Children experiencing DTD can have impaired attachment, lack impulse control, have delayed cognitive development and maladaptive behaviors. According to Mary McGowan, Executive Director of the Association for Training on Trauma and Attachment in Children (ATTACh) and parent of five adopted foster children, "The challenge has been that no one diagnosis adequately captures the plight of these young people, who are overrepresented in IEPs, juvenile justice and treatment facilities. And that is why a new diagnosis for them is needed. As it stands now, these children are often misdiagnosed and incorrectly treated." Although tour organizers are not suggesting that every adopted or foster child has DTD, they are advocating for better assessment and treatment protocols for this population. Amy Winn, President of the American Adoption Congress (AAC), an adoptee and psychotherapist specializing in adoption issues said, "Unfortunately not enough professionals or caregivers are trauma-informed and don't necessarily make the connection or offer the specialized care that these young people need." The tour launches from ATTACh headquarters in Minneapolis, MN on November 10th and includes stops in Chicago, Boston, Philadelphia and ends in Washington DC on November 15th where the tour will join Voice for Adoption and their Adoptive Family Portrait Project on Capitol Hill for a rally. "Not only are we advocating for this population, but we are also offering hope for healing as the tour includes informing both parents and professionals on new interventions and strategies geared specifically to work with these youngsters," expressed Thomas Ahern of Calo Programs and tour organizer. Calo (“kay-low”) Programs (http://www.caloprograms.com) is a behavioral and mental health provider specialized in healing the effects of complex developmental trauma. Calo Programs is comprised of Calo Teens, Calo Preteens – both residential programs located in Lake Ozark, MO predominately serving adoptive families, and New Vision Wilderness – “NVW”), Calo Young Adults – transitional living program for young adults - and Embark by Calo a therapeutic workshop and family intensive program for those reeling from issues of trauma, attachment and adoption. For more information about the tour, contact Thomas Ahern, at tahern(at)caloprograms.com.